Home /News/Describe Your Style In ONE Word – Can You Do It? Describe Your Style In ONE Word – Can You Do It? A man knows who he is… right? If you don’t define your identity, others will define it for you. Do you KNOW what you’re saying about yourself? There’s a fun challenge I like to set for new guys in my Facebook group… describe your style in ONE word. Simple… not the same as easy. Can you do it? I found that most of the guys on Facebook fell into three categories. Read on to find out which one (or more) you relate to… and whether any of these words describe YOUR style. Do these create a picture in your mind? Have these men described themselves so clearly you can see it? Of course – if you don’t know exactly what a style entails – you can’t picture it. So let’s look at a couple of these in detail. There are two keys to understanding English style. The first is restraint. Englishmen’s style never shouts – they believe the man should be noticed, not his clothes. They favor dark and neutral colors and conservative styles and patterns. Dressing English in America can paradoxically make you stand out – but it will also make you look like a proper gentleman. 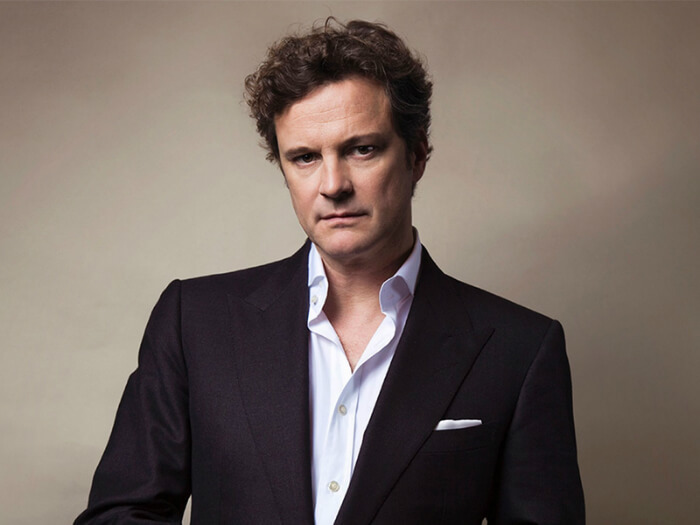 Speaking of which, click here to dress like a Kingsman. The second key is… the weather. Thick, textured fabrics and solid Goodyear-welted shoes are the rule to keep the rain and cold out. The English country look is based on what gentlemen wore (and still wear) to go hunting in all weathers – think tweed, argyle knits, waxed jackets, and brown brogues. The perforations in brogues were originally there to let water out after you stepped in a bog. English city style is equally recognizable. Suit tailoring is very structured and fitted, with stiff canvas, padded shoulders, high armholes, and often surgeon’s cuffs (cuffs that actually unbutton – they do things properly over there). British single-breasted suit styles have a low gorge (the V-shaped front opening) that gives them an old-fashioned look. You’ll also see quite a few double-breasted suits in England. The buttoned-up style conveys restraint… and keeps you warm on a gray day. 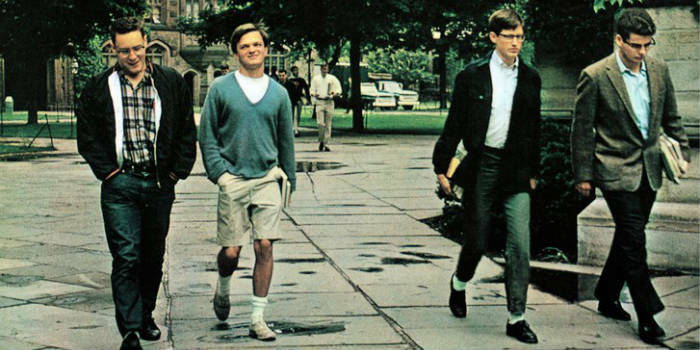 Preppy or ‘Ivy League’ style was started in the 1890s by wealthy young men at the top American universities who wanted to play with convention without completely flouting it. They took elements of British style imported by Brooks Brothers… and made it relaxed and fun. They chose casual fabrics and less tailored fits – natural shoulders, shirts without darts, and un-pleated trousers. For summer wear think blazers, madras shirts, polos, chinos, chino shorts, rope belts, and boat shoes. For more on preppy style, click here to check out ’10 Types Of Stylish Man’. Some all-American additions to preppy style include penny loafers, ‘critter print’ (an all-over pattern of animals – as opposed to animal print, which is a pattern you’d find all over an animal) and go-to-hell pants. These are brightly colored and often boldly patterned pants that send a clear message to anyone who doesn’t like them. This is actually a dress code – but a very flexible one. At the casual end you’re looking at khakis, dress shoes, a collared shirt and maybe a well-fitted, not too chunky sweater. You can even get away with jeans in more relaxed offices – as long as they’re dark, slim-fitting, and not worn or distressed. Click here for the lowdown on business attire for men. 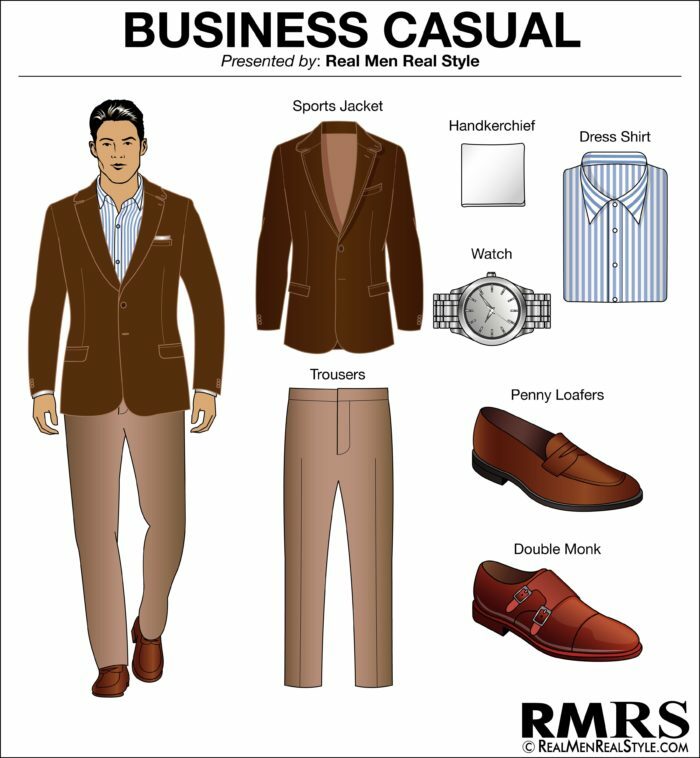 At the ‘business end’ of business casual you’re practically wearing a suit, but not ACTUALLY wearing a suit. Pair a sports jacket or blazer with wool slacks, a dress shirt, a tie, and dress shoes. The classic business casual outfit is the “California suit” – a navy blue blazer with khakis or gray slacks. You can wear ‘business casual’ outside work. Maybe skip the tie and go for a more casual sports jacket and a dress shirt with some pattern or texture to it, or an oxford button-down. Since we’ve talked about English style let’s look at Italian style for contrast. Italy is a HOT country with an expressive people. So the styles tend to be bold and the tailoring light and unstructured. Click here for 59 sharp-dressed men to emulate. Northern Italian men favor simpler cuts and sophisticated neutral colors. In Southern Italy you’ll see vivid colors and edgy styles that the northerners would find tacky. Think Armani (North) versus Dolce & Gabbana (South). Both Northern and Southern Italians go for a SLIM fit. Young Italian men tend to be thinner than Americans and like to show off their figures. Shoes are slender, lightweight, and pointed. Colored and decorated leathers are common. They’re usually Blake stitched rather than Goodyear welted – giving a slimmer silhouette that looks out of balance with American sack suits but perfect with Italian suits. Italian suit jackets are short and close-fitting, creating a masculine ‘v’ silhouette. Generally single-breasted, they have sleek flapless pockets, a high gorge, and high buttons, so they look more modern and fashion-forward. So do the suit pants… they tend to be tight. If you’re in this group you probably dress mostly for recreation. You might be happy staying in this category – or you might be actively learning and growing beyond it. Does any of these words describe you? Don’t be ashamed if you relate to ‘improving’, ‘learning’, or ‘progress’. So do the best dressers in the world. Would You Describe Your Style As Playful? I know a lot of you want to send the message, ‘I’m a fun guy’. Most men go one of two ways with this. Either you end up looking like a clown – or you’re so AFRAID of looking like a clown that you stick with conservative styles and neutral colors and you feel stifled. Luckily there’s a middle way. Don’t be afraid to wear light and bright colors. The key is to use the color wheel to find colors that work well together, and balance colored pieces with some neutrals. You don’t want to look like your entire outfit is made of candy. If it’s too wintry for pastels go for chocolate brown and navy over gray and black, and add pops of color in accessories. Learn the difference between fun patterns and novelty patterns. Novelty patterns have big garish motifs, often cartoon characters. Steer clear unless you want to look like a cartoon yourself. Fun patterns include polka dots, florals, gingham, stripes of different sizes and colors, random patterns, and small quirky prints that aren’t drawn in a cartoonish style. Wear smart clothes with a casual attitude. Roll up sleeves, pop open collar buttons, embrace rumpled styles like linen or a non-ironed oxford shirt, wear your tie with sprezzatura. Ditch the sleek groomed hairstyles and mess it up with hair paste. Have some fun with your shoes. Playful shoes can be very dapper (two-tone wingtip shoes) or casual (sneakers, Converse All-Stars) or in between (dress sneakers). The right shoes can change a serious outfit into a fun one. Have you mastered the one-word challenge? Then try finding 5 words that describe your style… you might find it’s even tougher. That last one was actually a GREAT description. Maybe Ron’s not quite up there with Steve McQueen and James Bond yet – but you can clearly picture what he’s aiming for. Here are 5 more men who clearly described their style. Some of these descriptions are a little ‘out there’… but all of them are SPECIFIC and give you a vivid mental picture. Now it’s your turn. How would you describe YOUR style in 1 or 5 words? Don’t just think ‘oh, I don’t know.’ Take the time to actually DO it. What’s the message you’re sending? Is that the message you want to be sending? If not – how do you want to change it? And if it is – how do you want to do it better? Do you have any friends who’d play ‘describe your style in one word’ with you? Have friends you can go to for men’s style advice? No? Let me introduce you to over 50,000 of them. They live all over the world – so there’s always someone awake and eager to answer your questions no matter WHAT time it is. Click here to check out the Real Men Real Style Facebook group. Black Friday Deals Available Now!